Virmir never seems to agree with himself sometimes, this is one such moment, or he blames him for the nonsense. Twice the ego though, there's no way Virmir(s) will lose now! No tail to sign on the whole page, the cape had to suffice! They normally have the same eyes, except that I tend to draw the round versions instead in freaked out situations such as this as they are more expressive. I longed for something like this, where MK Virmir goes after Virmir (for whatever resason)! 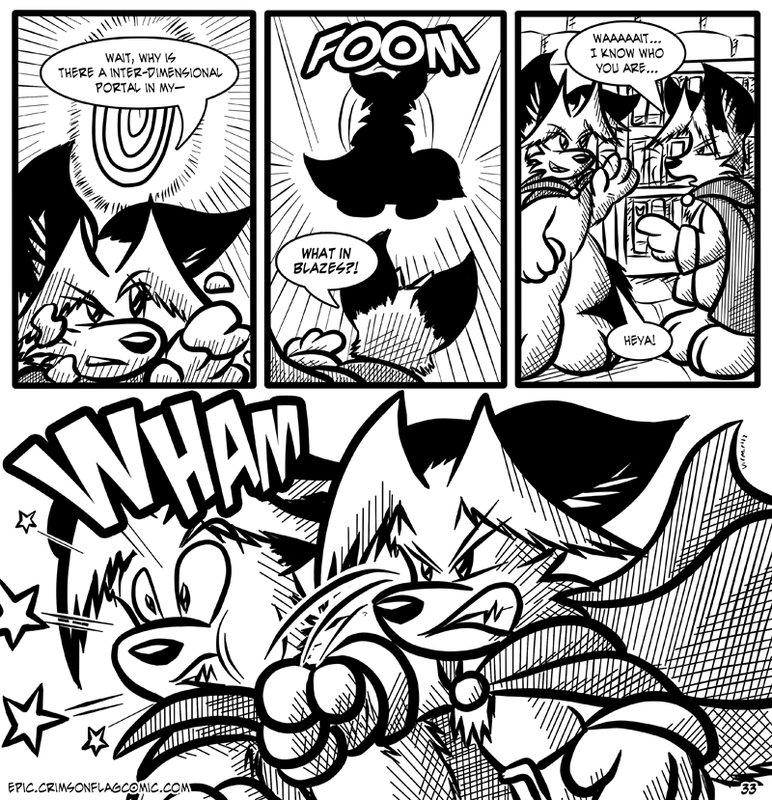 Yes there was tail in the last panel, just not enough for a sig (with the page number shoved in there already). Ah, finally! None of that pie nonsense, just some good old-fashioned fisticuffs!